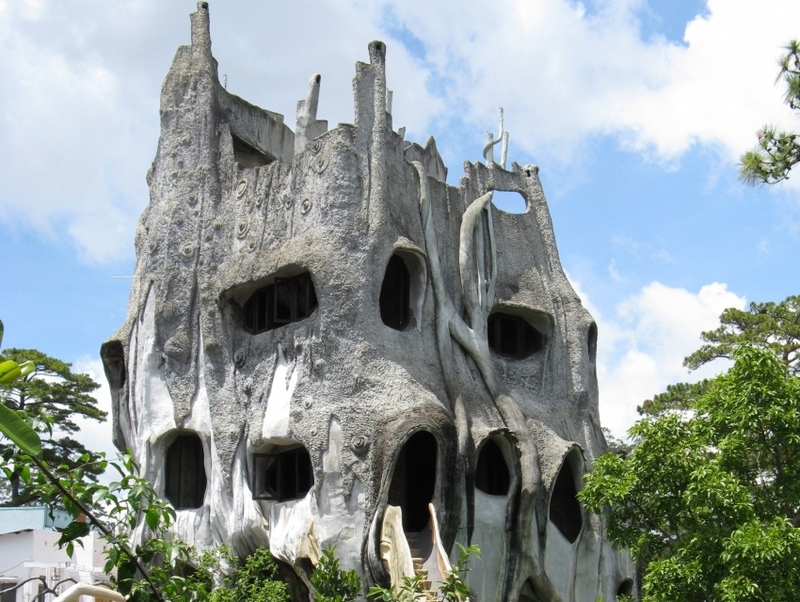 Enter a world of crooked stairways, cave-like sitting rooms and giant spider webs at the Hang Nga Crazy House. The place draws many tourists and locals because of its eccentric attractions. Nicknamed as 'crazy house' by the locals, you can find here a giraffe tea room, bridges shaped like branches, guest rooms with bear skin rugs and other such nutty stuff. The house has been built by Hang Nga, daughter of former President of Vietnam, Truong Chinh. Much of the furniture and decor here of the guest rooms are inspired from fantasy and folklore. Visiting this place is a complete fun experience.